We often hear about athletes undergoing a special surgical procedure to repair damage to their elbow, but we don’t know what it involves, or how it got its name: Tommy John Surgery. Tommy John surgery repairs an injured elbow ligament. It’s most commonly done on college and pro athletes, especially baseball pitchers. But it’s sometimes done on younger people as well. 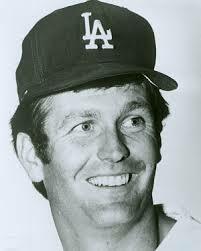 The surgery is named after former Los Angeles Dodgers pitcher Tommy John. In 1974, he underwent the first surgery of this type. Born Thomas Edward John Jr. on May 22, 1943 he also played for the Cleveland Indians, the Chicago White Sox, the New York Yankees, the California Angels, and the Oakland Athletics. His 288 career victories rank as the seventh highest total among left-handers. Tommy John surgery is also called UCL reconstruction. UCL is short for ulnar collateral ligament. During Tommy John surgery, a surgeon replaces the injured UCL with a tendon taken from somewhere else in the patient’s body. Other types of surgery for repairing the UCL have also been developed, but in certain cases the procedure is still used and is very effective. The surgeons at Palm Beach Sports Medicine have extensive experience with many types of elbow surgery, as well as non-surgical therapies to repair and heal injuries and illnesses that affect elbows, wrists, shoulders and every other joint. A visit to our office in West Palm Beach or Jupiter will permit a thorough examination and diagnosis of any type of joint problem or pain. Call us at 561-845-6000 to schedule an appointment.